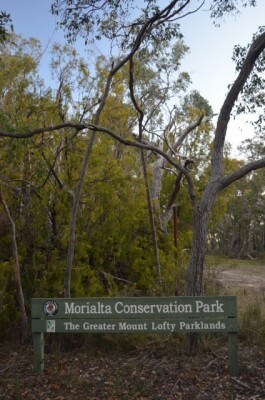 Tuesday evening (28th April) A small group of us put the VI5ANZAC special event call on air with a QRP portable activation from Morialta Conservation Park. First off, let’s step back a few weeks. I was chatting with Grant VK5GR and he asked if I was available for 1 evening during the week whilst AREG has the VI5ANZAC callsign to put it on the air. 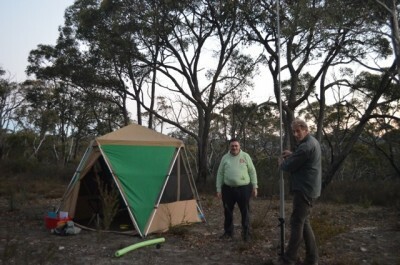 It eventually came to pass that the best option would be for me to lead a small group and do it as a QRP portable activation from one of the Local Conservation Parks just East of Adelaide in the Mt Lofty Ranges, the rest is now history! 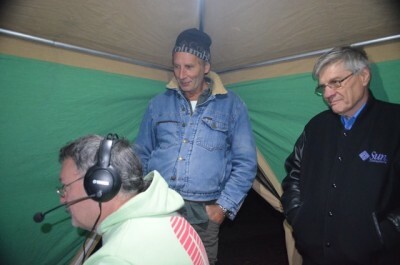 With a whole 2 weeks to get it together, I set about doing a quick review of available operators within the Club and then on the qt also invited Paul VK5PAS to come along. It was literally a case of hoping we had decent weather! The best laid plans and we had a last minute work commitment by one of the operators, but still we managed to pull it all together. The Wx held out and we had a predicted clear evening (no rain or wind) but knowing it would be still quite cool on the the top of the hill. 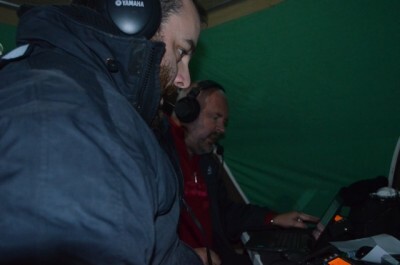 On Tuesday afternoon, I met Gary, VK5FGRY on site at around 17:00 local time and we started getting set up for the evening. A quick review of where to set up antenna’s and we got started. Just as we got underway, Andy, VK5AKH arrived, and Ray VK5RR arrived about 20 minutes later. The initial flurry on 40m was to be expected and we worked at a steady pace, rotating thru the operators on 40m for the next 90 minutes or so. As the calls dried up on 40m we wound down the calling somewhat and 40m did in fact close out for all local contacts as well. We could hear quite a bit of DX, but not work it. The 2nd station started out on 20m and it was very slow – as feared, we had only just caught the tail end of 20m and had just a handful of contacts. Given the conditions, we decided to move the 2nd station over to 80M earlier than we had initially planned and started calling there as well. It was a slow and steady trickle of takers on 80m and we had an unusual request – could we try 160m! Well, this was a bit of a challenge in itself as we were not at all prepared to have any sort of antenna on top band, but being challenged, we jury-rigged an EFHW as an extension onto the end of 1 of the 80M dipole elements, hit the tune button on the KX3 and managed to get it to tune! 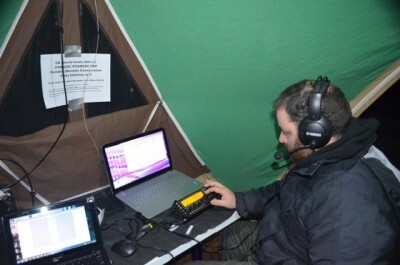 The 2 stations for this operation were both KX3 Transceivers with a headset running 10 watts on SSB, each set up with a laptop for logging. 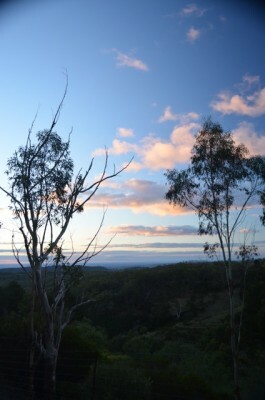 Yes, we did manage 2 contacts on 160m – the first to Mt Gambier (400km) and the 2nd to an Adelaide Station. Pretty impressive really considering the “Antenna” and power we were using! Grant, VK5GR was a very late arrival and his plan was to set up and see how many local contacts we could get on 2m and 70cm to add to the mix. Once everything really slowed down, we decided to call it quits just on 21:30 local time (12:00 UTC) and started pulling the station down. Within 30 minutes we had everything down and packed up, with the final task to check the logs and upload them. The final tally for the Tuesday Evening QRP* activation (QRP on HF) was as follows. In the mix we had 1x US, 2 x ZL and remaining VK1 (VI1ANZAC), VK2, VK3, VK4, VK5, VK6 and VK7 -so a good representation right across the country, and we only missed on getting a VK8 in the logs. 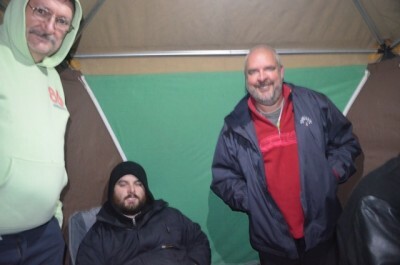 Without the awesome logistical support from Gary VK5FGRY we would not have been as comfortable in the heated tent! A big thanks to all the chasers who make such an activation even more enjoyable, and yes, all of the logs will be uploaded to WWFF in the coming days as the HF operation was compliant with VKFF and from a recognized park. Thanks To Paul for the photos from the Evening’s Event. Check out Paul’s report as well.